On behalf of everyone at the Free West Papua Campaign, we want to wish all of you a very happy 2019! We hope that your year has kicked off to a great start. We have started off the New Year full of energy and motivated to make 2019 the best year for West Papua so far! 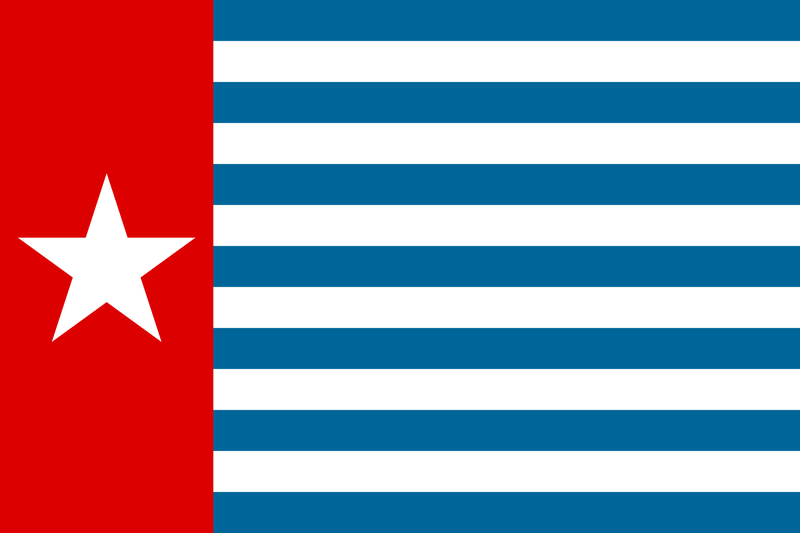 We have some exciting plans in the pipeline to spread awareness and garner support for the United Liberation Movement for West Papua (ULMWP) and their mission to secure a vote of self determination for the West Papuan people. 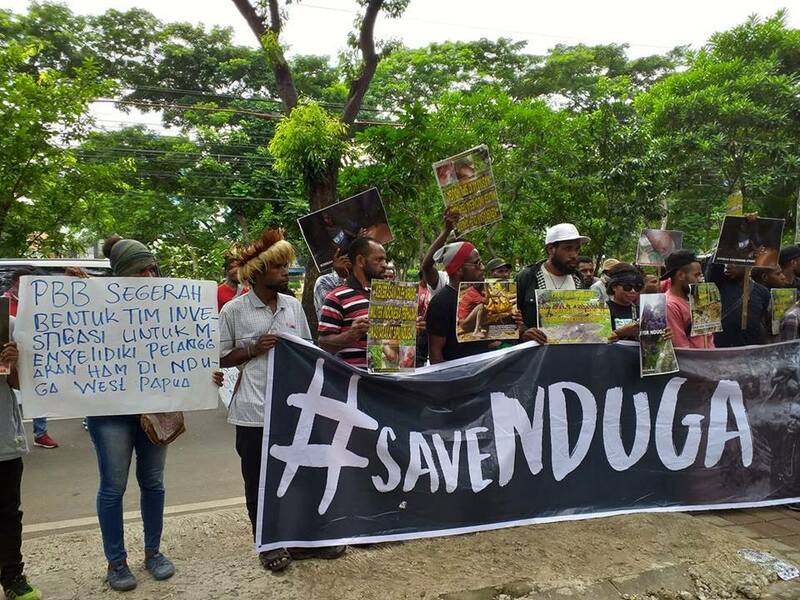 Major military and police operations have been launched by Indonesia in the Nduga Regency of West Papua in the wake of the killing of at last 17 construction workers and engineers on December 2, 2018. The Indonesian army has sealed off the area. Church and local government officials cannot access the area to investigate or help those displaced. West Papuan representative groups are calling the situation a ‘humanitarian crisis’. According to the International Coalition for Papua, at least 20 civilians have been killed in the operations so far. Ground troops have been sent into local villages with air support strafing civilian areas. According to the witness reports gathered by the ULMWP, church and school activities in all 32 districts of the Nduga Regency have been completely shut down. Four people detained and tortured. Thousands of people are displaced and hiding in the surrounding jungle. The ULMWP has called for an immediate cessation of Indonesian military and police operations and for the Indonesian government to lift the tight restrictions and allow humanitarian agencies and human rights monitors to enter the region. Click here to read ULMWP Chairman, Benny Wenda's statement on chemical weapons and the Nduga Crisis. Ringing in the New Year in the Netherlands includes diving into the freezing winter sea, and one of the founding members of the Free West Papua Campaign Netherlands, Joffrey Korwa, saw this as an opportunity to raise awareness about the oppression aNd genocide in West Papua by joining the celebrations. Joffrey sadly and unexpectedly passed away in 2013 however the Netherlands team took on his mission and continue to represent West Papua at the dive each year, with 2019 being no exception. Click here to see Free West Papua Campaign Spokesperson, Raki Ap, raising the Morning Star flag and diving into the North Sea! 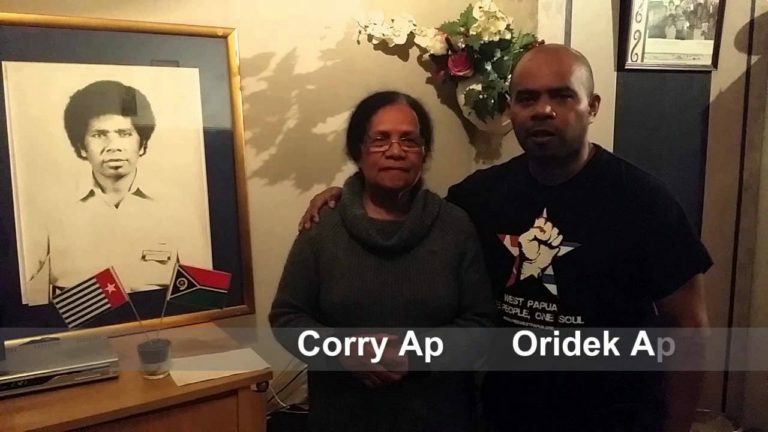 Corry Ap is the widow of assassinated West Papuan cultural leader, musician, and anthropologist, Arnold Ap. She is also the mother of Head of the ULMWP's EU Mission, Oridek Ap, and Spokesperson for the Free West Papua Campaign, Raki Ap. Now living in exile in the Netherlands, we recently sat down with Mrs. Ap to have a conversation about her very long and complicated journey. Click here to see what we have coming up and how you can get involved!